nautical invitations customizable for any ocassion! Navy and red NAUTICAL INVITATION printables! Nautical party invitations include whimsical whale, anchor, and sailboat illustrations. Use these sailboat party printables to make your own customized red and navy nautical party invitations for nautical birthday invites, nautical baby shower invites, or nautical invitations for any nautical theme party you are planning. Wonderful for 1st birthday boy invitations! 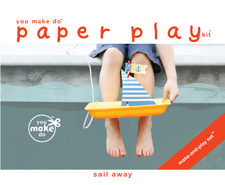 Print as many nautical printables as you wish! These red and navy nautical invitations coordinate with our full nautical printable set available here! Easy DIY invitation customization! Simply click and type to add your own text over sample text (customize the event date, address or location, guest of honor's name, event (birthday, baby shower, preschool graduation, 1st birthday), and RSVP information! The sailboat is customizable with an age for a birthday or a monogram for a baby shower! This party printable is an INSTANT DOWNLOAD! After receiving your order, a link to this You Make Do pdf printable download will be automatically e-mailed to you on your receipt. 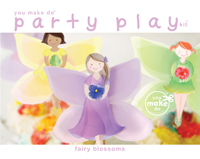 Begin customizing and printing as many party invitations as you wish right away at home or at your favorite copy shop! If you wish to print your invitations online, at photo kiosks, or photo print shops, contact me before placing your order. I am happy to set up a custom listing for a customized JPG (photograph format) invitation for you. Each invitation is 5" wide x 7" tall. Two invitations print per 8.5" x 11" letter size or A4 size white card stock. After printing invitation fronts, feed paper through the printer again to print back pattern designs on the reverse of your card stock paper. Kit includes 2 invitation back designs shown in the image. Use both patterns, or pick your favorite, for the most delightful nautical invitations you can make! See all of my You Make Do party printable designs in my shop http://www.you-make-do-shop.com/ Thank you for choosing my handmade designs!